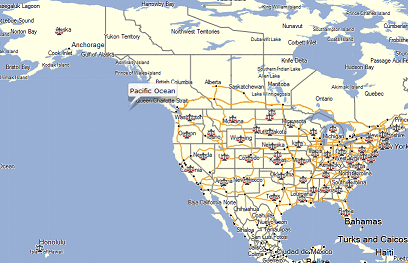 The Centers project, by Bubbler GPS, is a collection of 53 locations covering the whole of the United States of America. Each location is determined solely at the discretion of the Centers project, to be the center of each State or other geographic collection (like North America). Using the menu choices in the toolbar above, you can learn more about the project, and participate if you feel the project of interest to you.